The European Commission is pushing for the EU to expand into the western Balkans, a region with the reputation for lawlessness. Brussels has given the greenlight to FYROM and Albania to start accession talks, but needs the OK from member states. That could happen at a summit in June. 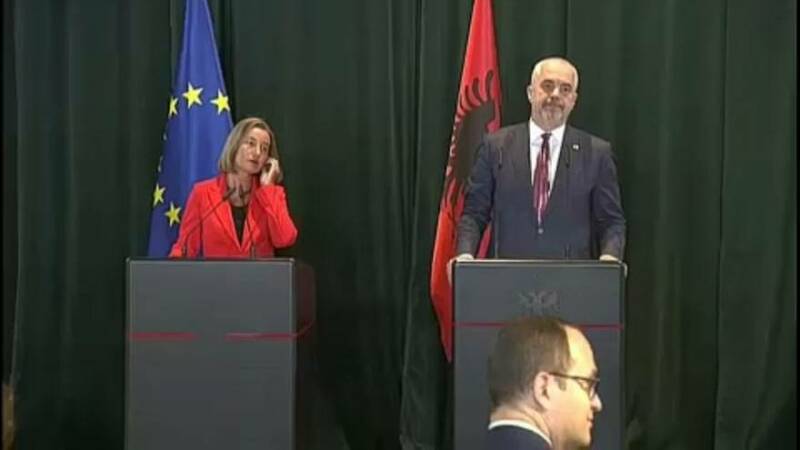 EU Foreign policy chief Federica Mogherini was in Albania to deliver the good news. "This is one of the countries in Europe that has the highest trust in the EU ...It is also an interest of the EU to have Albania coming into our Union, when we will be ready for that, and I hope it will be soon." Another potential EU member, Turkey, got a less friendly appraisal. The EU considers the measures undertaken by Ankara under an almost two-year-old state of emergency have curtailed civil and political rights, and it's EU ambitions are on ice. "The situation is very simple: membership talks are dead and won't go anywhere. Any return to the EU rule of law norms would endanger the power structure of the current Turkish president." "Turkey is no longer on a European trajectory, the problem is knowing whether it is on a trajectory that is hostile to Europe. The strikes in Syria, the situation in Syria and the approval of the strikes by the Turkish president prove that it is not in the interests of Turkey to take Europe head on."